Place beans in a blender or food processor and pulse until mashed or mash with a potato masher. Remove and place in a mixing bowl. Add all remaining ingredients except the bread and lettuce. Mix thoroughly. 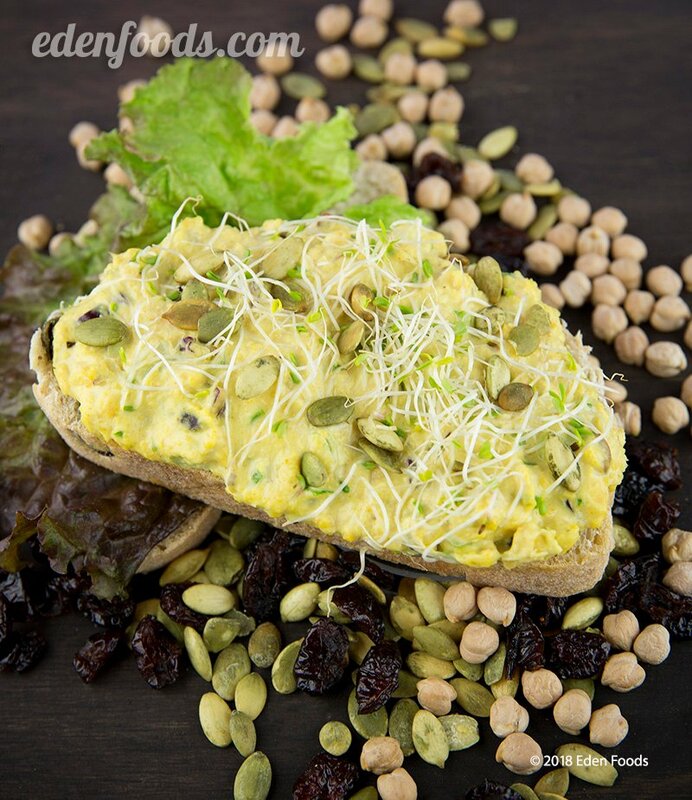 Spread an equal amount of chickpea salad spread on 4 slices of the bread. Top each with a lettuce leaf and remaining bread slices.